Hair Dryer Estelle | Stephen P. Wales Ltd. The elegant Estelle Hair Dryer, adds a feeling of quality to any environment, with its cushion mounted glass mirror and compact design. This professional dryer has an AC powered motor, and a choice of two heat and speed settings. 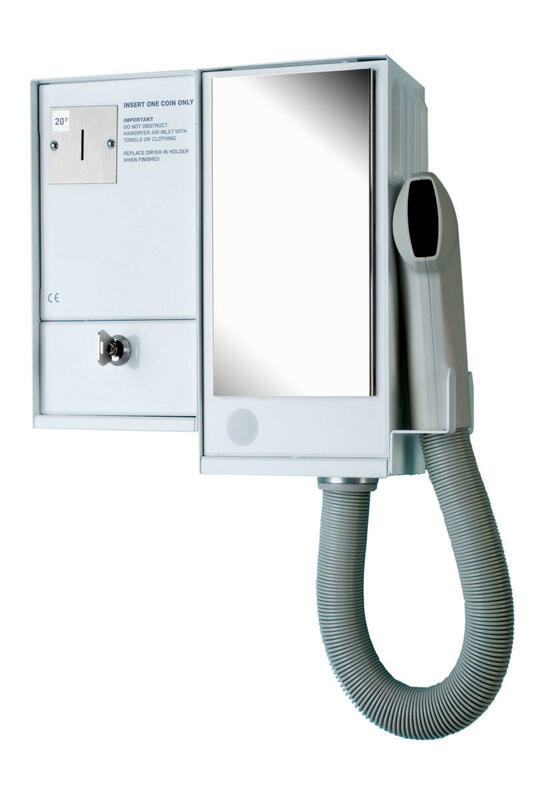 It has a thick steel body with hinged front, and features a coin counter for audit purposes. All of our hair dryers feature an electronic timer which can be easily set in one minute increments. They are designed to be vandal resistant with a strong double bar lock and unique security key. 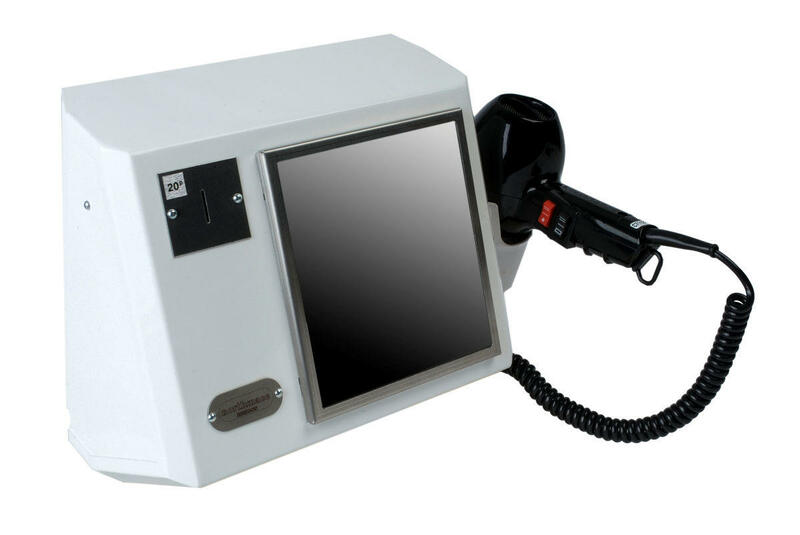 They also feature an opto-electronic coin recognition system for reliability and a large removable cash box. 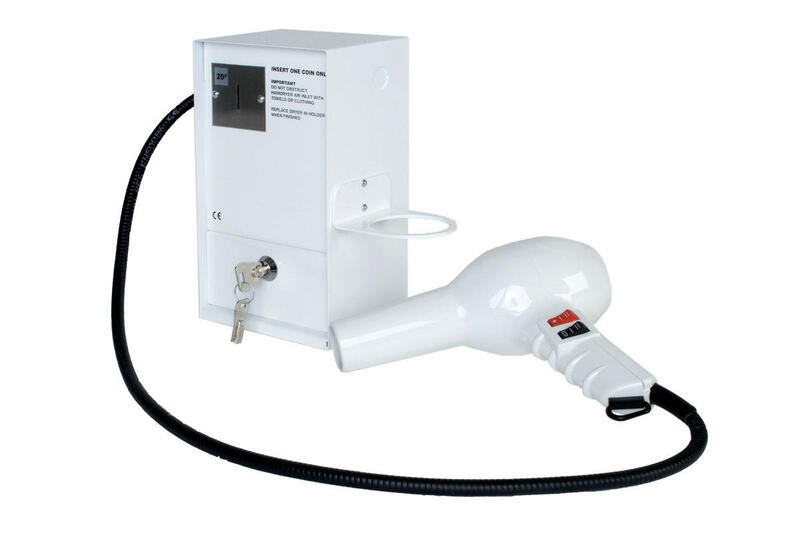 Installation is easy, with choice of cable entry from rear or side, and all of our hair dryers conform to British and European safety standards and feature a thermal cut out, automatically shutting off the dryer if it gets overheated. We sell this model as a push button operation or to accept 20p's, but other payments types are available, (10p, 50p, €0.20 & €0.50). Please contact S P Wales for more information.